Last Saturday was Heritage Day, a South African public holiday celebrating the nation’s heritage. This holiday is interesting because “heritage” can mean so many things. South Africa has 11 official languages and dozens of distinct cultural groups, each with its own heritage. There’s also historical heritage, architectural heritage, artistic heritage, archeological heritage…Pretty much anything can be heritage. On top of that, South Africa’s big-brand advertising industry has rebranded Heritage Day as “Braai Day” (braai means barbecue in South African), in an effort to convince South Africans — as if they need convincing — to consume piles of meat and gallons of beer on this holiday. All this means that there are dozens of different Heritage Day activities to choose from in Joburg, especially when the day falls on a weekend. 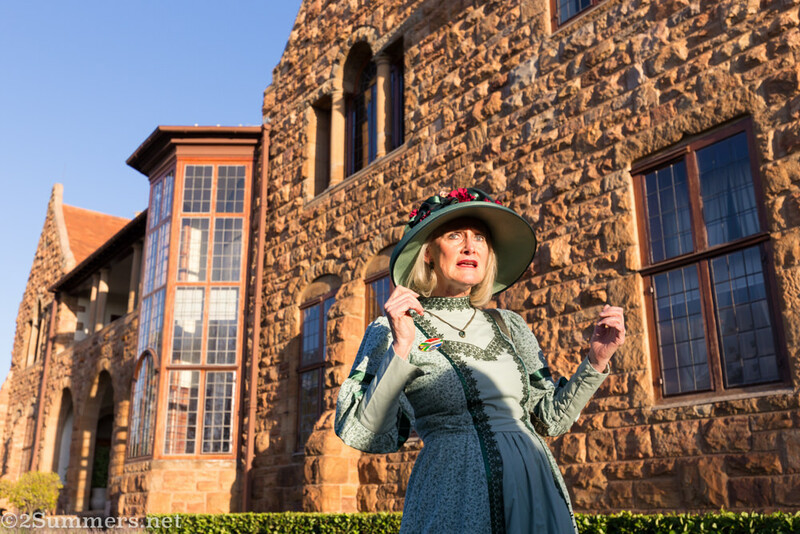 I was overwhelmed by all the options, but settled on a full weekend of historical tours with the Johannesburg Heritage Foundation. 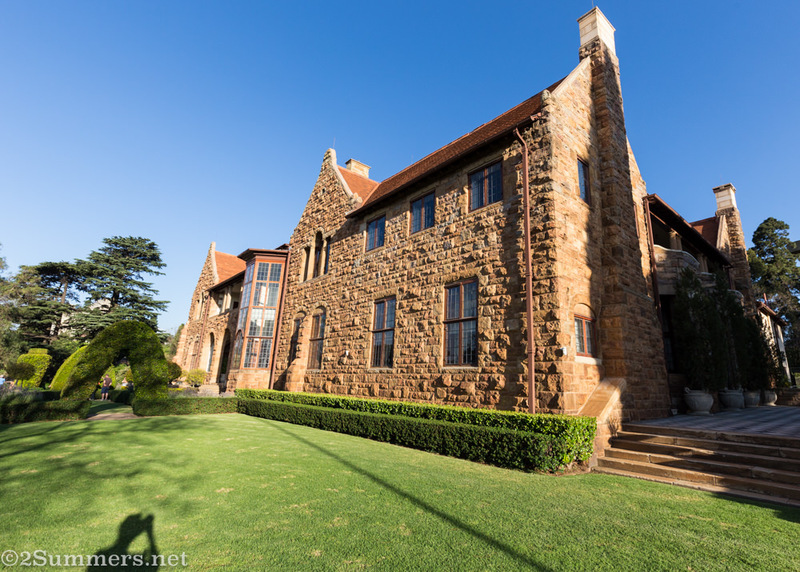 Holy Family College, opened as the Parktown Convent in 1905, where the Johannesburg Heritage Foundation tours started and ended. How cool is that intricate latticework? 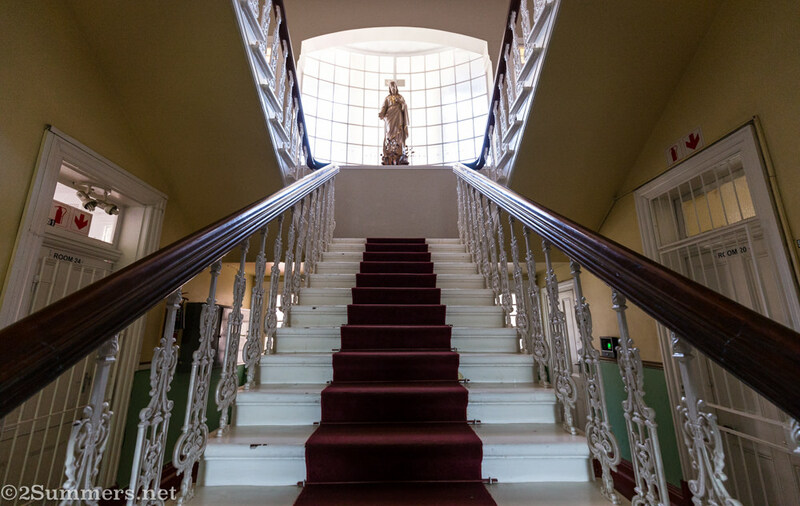 The beautiful staircase inside Holy Family. 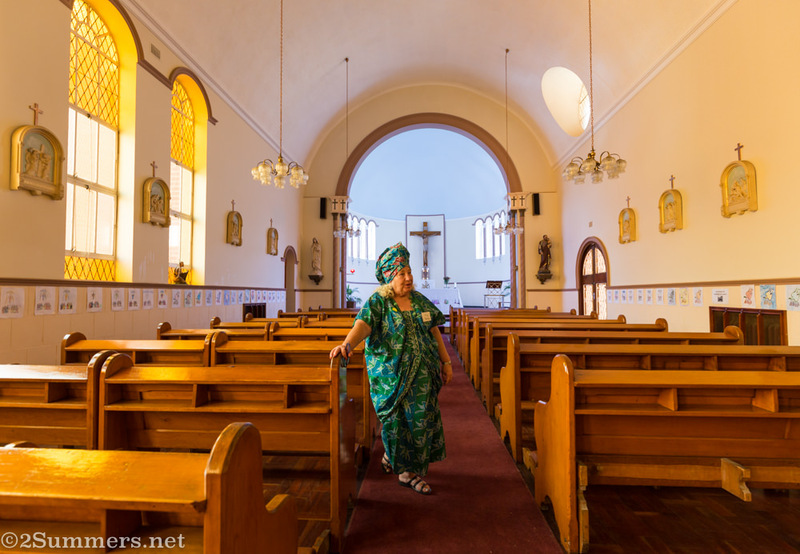 Flo Bird, founder of the Johannesburg Heritage Foundation, in the chapel at Holy Family. This woman is a legend and so is her outfit. The Heritage Foundation set up headquarters at the historic Holy Family College in Killarney and ran walking and bus tours from there all weekend. The tours were affordable — one cost R70 ($5) but you could book three tours for R150 ($11). I went for three tours, of course. Here are the three I chose. 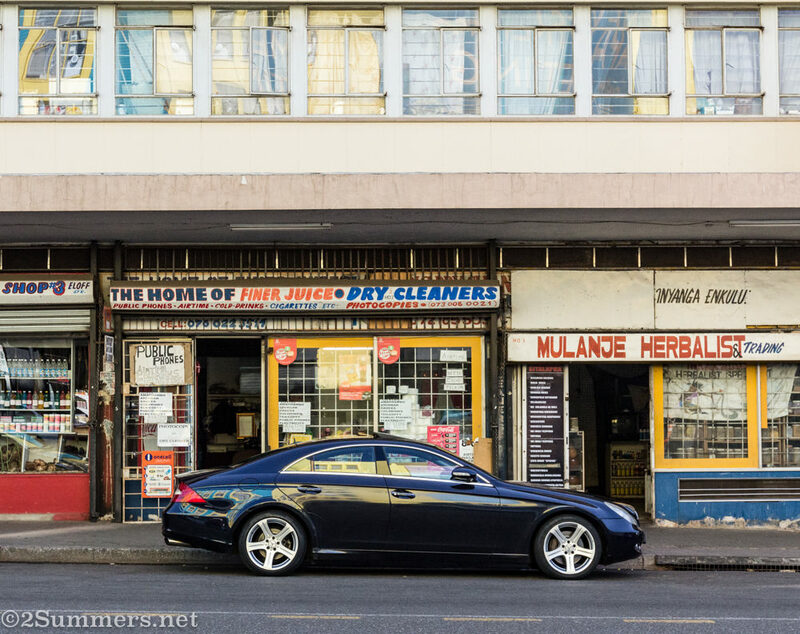 This walking tour explored a part of the CBD around One Eloff Street, which was the historic center of South Africa’s automotive industry, among other things. I’ve spent lots of time in this area but Saturday’s tour gave me a whole new perspective. Our first stop was a complex of buildings across the street from One Eloff, which was the Bantu Men’s Social Centre in pre-democracy times. If you look carefully, you’ll see where the “Bantu Social Centre” lettering was removed. We couldn’t get inside the actual complex (it’s owned by the city of Joburg and currently used by roads agency staff and police) so this is the best shot I have of the former social centre itself. 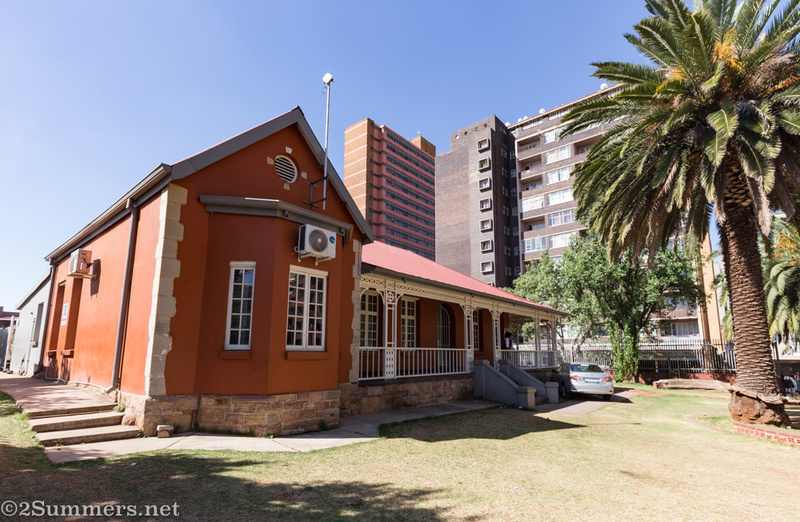 The Bantu Men’s Social Centre, opened in 1924, was a place where black people in Johannesburg (mostly men but women too) went for recreation during a time when people of color weren’t permitted to move freely about the city. There were sports fields, a gymnasium, a stage, and a library. 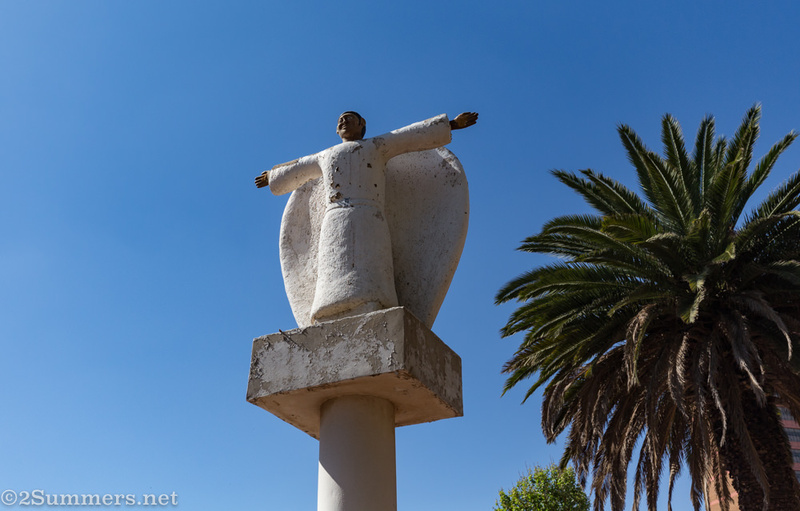 Many of South Africa’s most famous athletes, musicians, and artists spent time at the Bantu Men’s Social Centre, making it a perfect place to discover on Heritage Day. Next door to the centre is a building called Dorkay House. 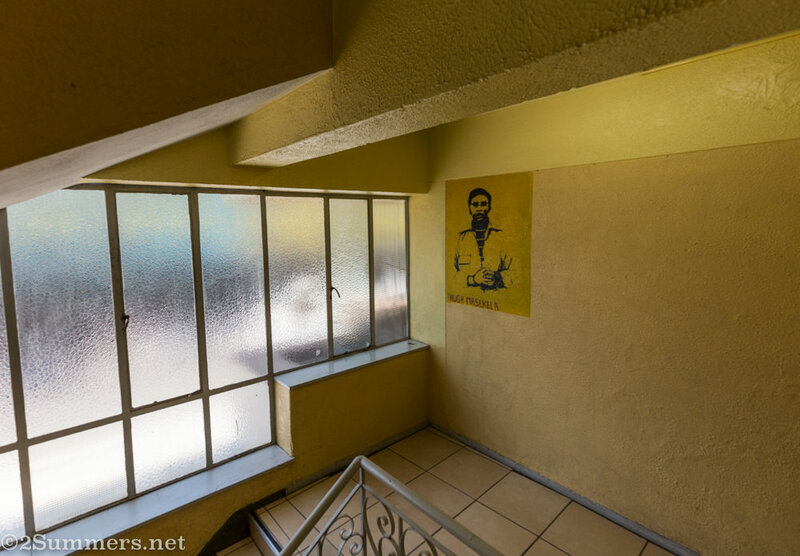 Dorkay House was home to the African Music & Drama Association in the late 1950s, and music legends Hugh Masakela and Miriam Makeba rehearsed there. Nelson and Winnie Mandela reportedly met at Dorkay House. The street below Dorkay House. “Tokoloshe salts”, a type of muti. 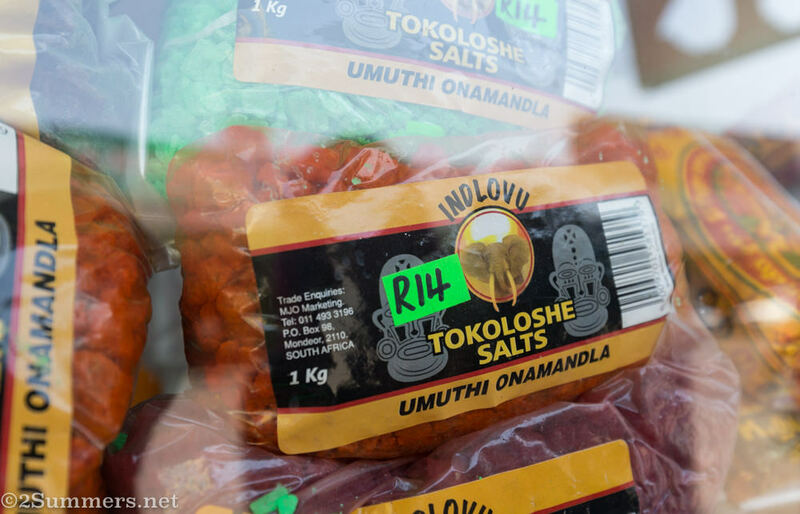 It’s colored salt that you sprinkle in your home to keep out evil spirits called tokoloshe. To learn more about tokoloshe, read this hilarious article in the Daily Sun (South Africa’s version of the American National Enquirer). 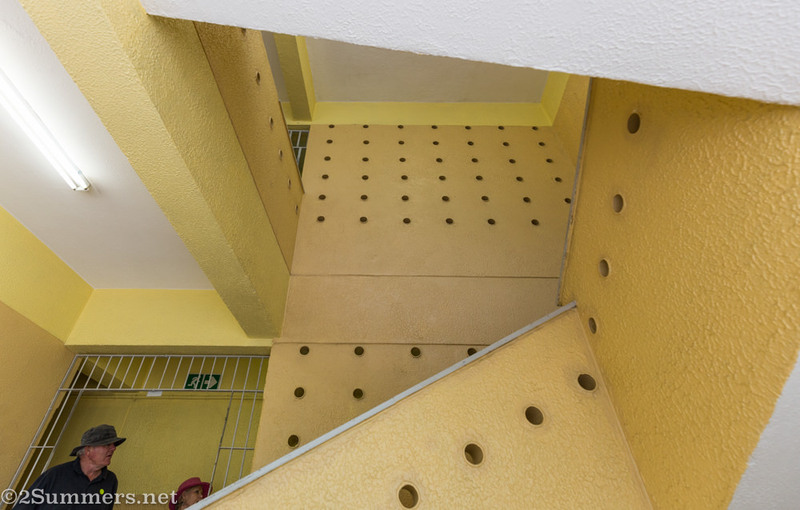 The upper floors of Dorkay House are a well maintained residential apartment complex. We were lucky to get inside for a short visit. A painting of Hugh Masakela in the Dorkay stairwell. There are similar portraits of Miriam Makela and Abdullah Ibrahim on other floors. After Dorkay House we walked past Atkinson House, formerly Chrysler House, one of Joburg’s first skyscrapers. The ground floor used to be a huge Chrysler car showroom but now houses a furniture store, and the upper floors have quality affordable housing. Atkinson House, aka Chrysler House. We hung a right at the old Chrysler House and proceeded a couple of blocks to the magnificent Central Fire Station, which I was especially excited to see. Central Fire Station, built in 1931. It’s a bit run down these days but it’s still an active fire station. 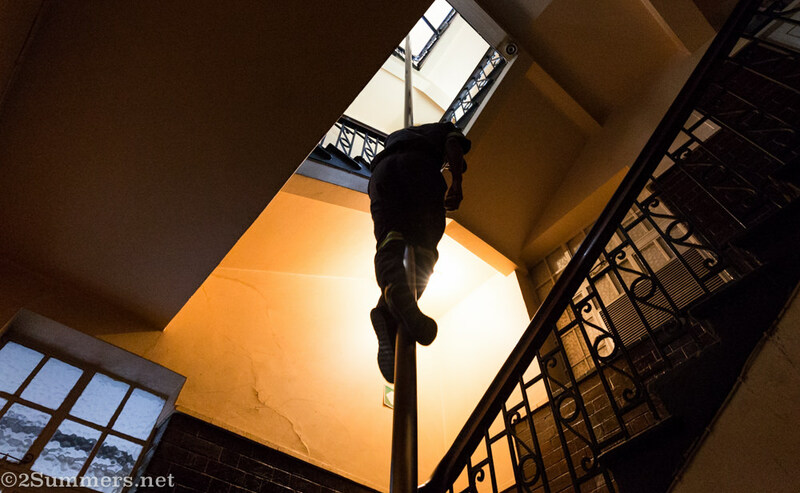 We even found a fireman to slide down the pole for us. We finished the tour with a visit to Joziburg Lane and One Eloff, which used to be an automotive storage and workshop facility. This was my favorite tour of the weekend. I learned so much. Thanks to tour guides David Gurney and Flo Bird for taking us into this Jozi time warp. On Saturday evening I took a sunset tour of Northwards, a Parktown mansion designed by architect Herbert Baker in 1904. Northwards. It faces north, obviously, as you can see from the late afternoon sun shining upon it. 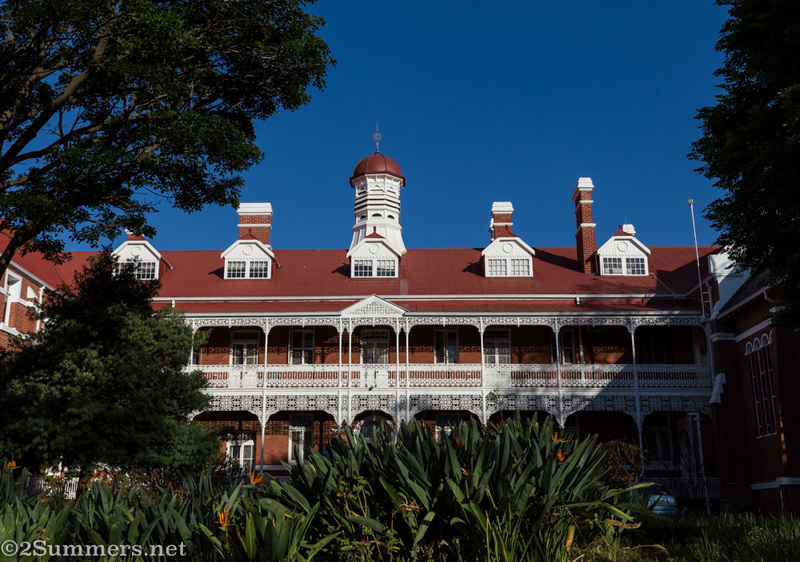 The Johannesburg Heritage Foundation was originally called the Parktown and Westcliff Heritage Trust, and tours of houses like Northwards are what the Foundation is best known for. This tour didn’t disappoint. 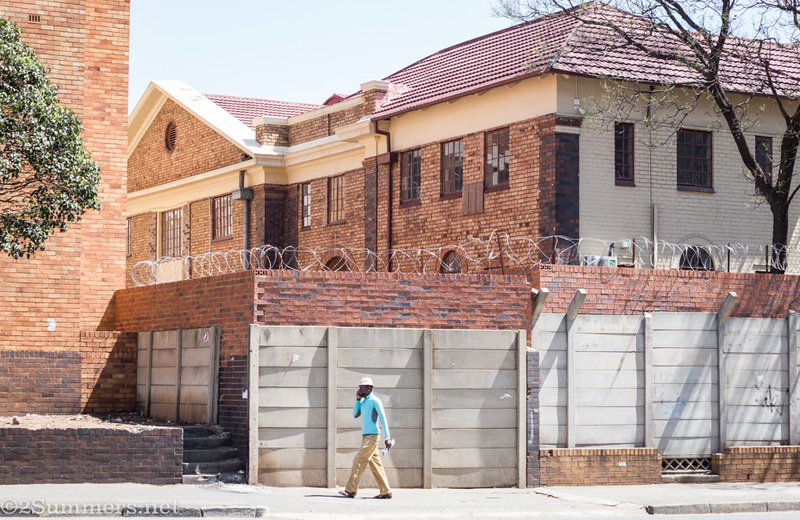 I won’t say too much about the house because everything you need to know is in this great article on the Joburg City website. Deanna Kirby, our guide, dressed in period costume for the event. The massive drawing room at Northwards. The life-size portrait on the left depicts Josephine Dale Lace, the original mistress of Northwards. Rumor has it that Mrs. Lace haunts the house, and her portrait often moves of its own accord. 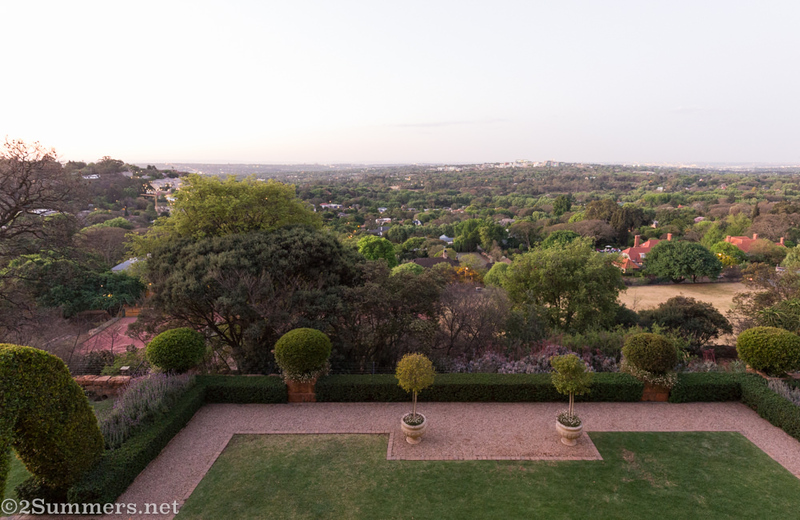 View from the second-floor balcony of Northwards, looking out over Saxonwold and Rosebank. Northwards is wonderfully preserved but not normally open to the public. The best way to see the house is on a Johannesburg Heritage Foundation tour: Follow the group on Facebook to keep up on the tour schedule. 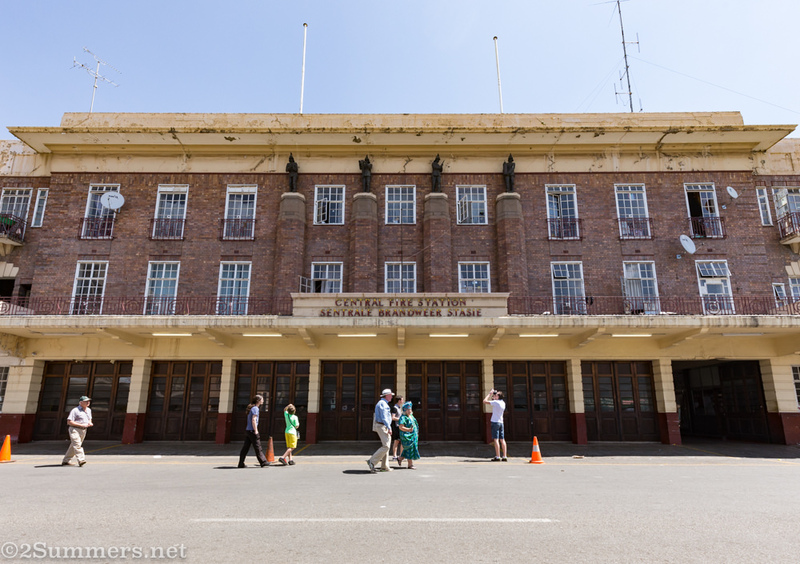 My third tour, on Sunday afternoon, was a walking tour of Constitution Hill, Braamfontein, and a bit of Hillbrow. “Angel of the North”, an iconic sculpture by Winston Luthuli standing just below Constitution Hill in Hillbrow. This tour introduced me to the “Governor’s House”, built in 1908 for the governor of the infamous Old Fort Prison on what is now Constitution Hill. (The Governor’s House is next door to the old prison.) As with many of the buildings in this post, I’ve passed the Governor’s House many times before but never noticed it. 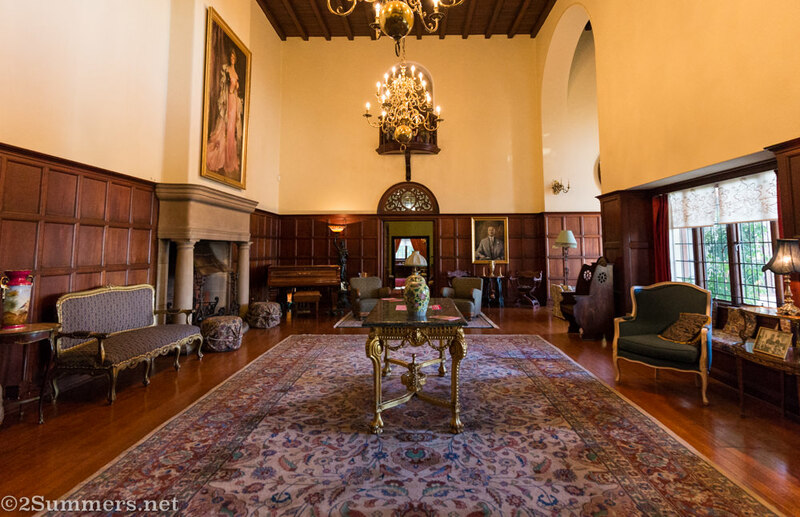 The Governor’s House was badly damaged by fire in 2009 and then fully restored by the Johannesburg Development Agency. It now serves as a community outreach facility for the homeless. After an informative lesson in the history of Constitution Hill and the nearby Wits Medical School, we crossed over to the Braamfontein Civic Centre, where many of the City’s administrative offices are housed. 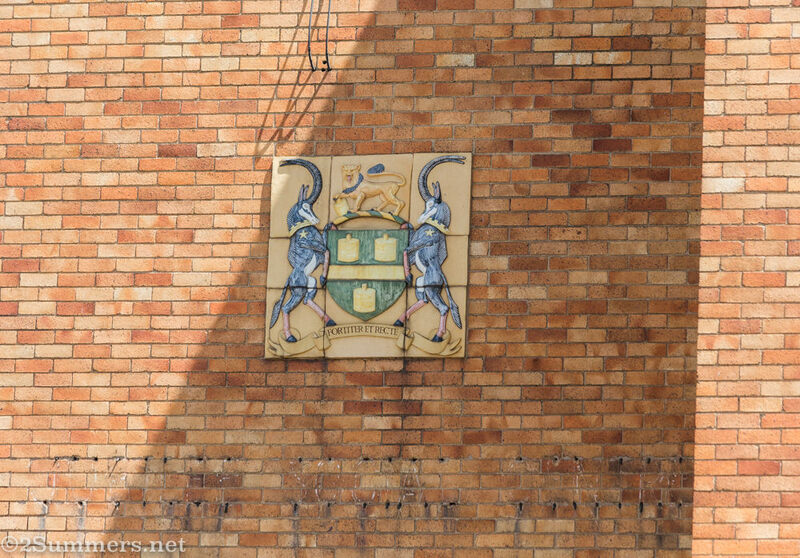 A piece of the huge Braamfontein Civic Centre complex. 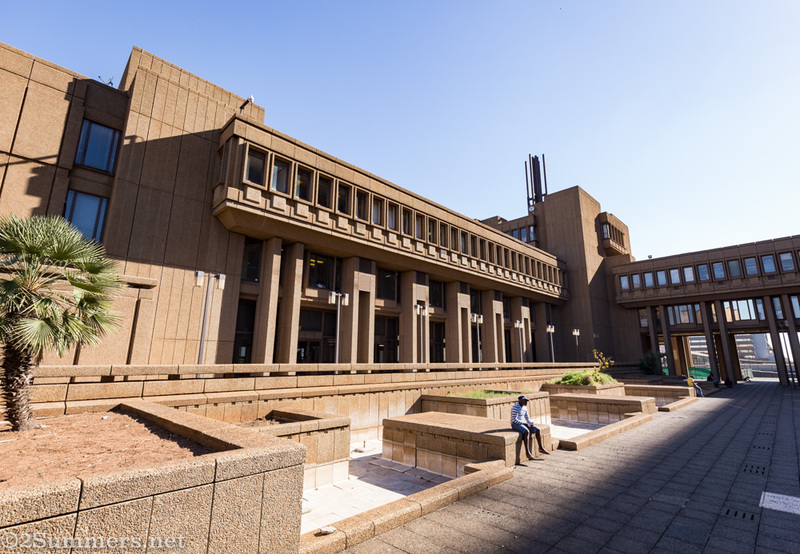 The Civic Centre was built in the 1960s and opened in 1971, at the height of South Africa’s apartheid regime. The Civic Centre is a prime example of brutalist architecture, which is appropriate given the brutal nature of the government that built it. A particularly brutal section of the Civic Centre. Most Joburgers think the Civic Centre is hideous, and I always have too. But there was something pretty about it on Sunday afternoon. Teenagers and young adults were scattered about, peering at their smartphones and taking advantage of the free wi-fi that’s been implemented throughout Braamfontein. The big cement floor tiles creaked as we walked across them, almost lyrically. It was more peaceful than brutal. 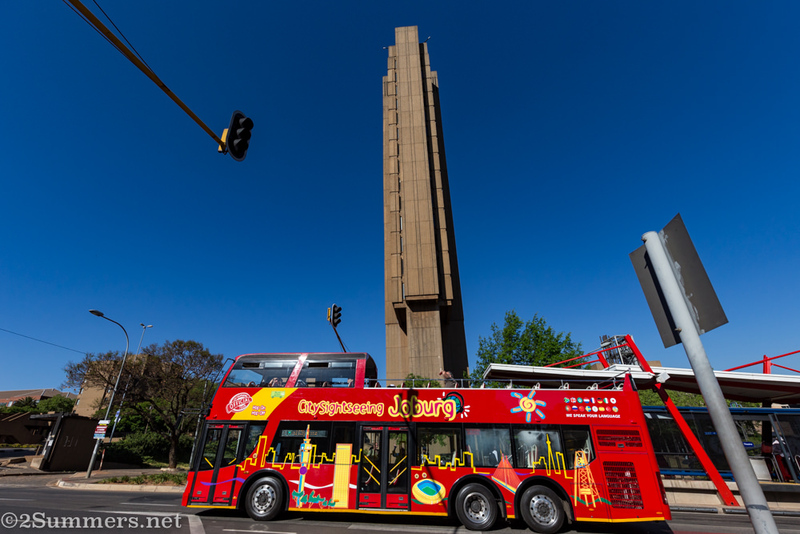 The City Sightseeing Bus passes the Civic Centre skyscraper, which has one of the strangest building profiles I’ve ever seen. I’ve never looked at the building from this angle before. 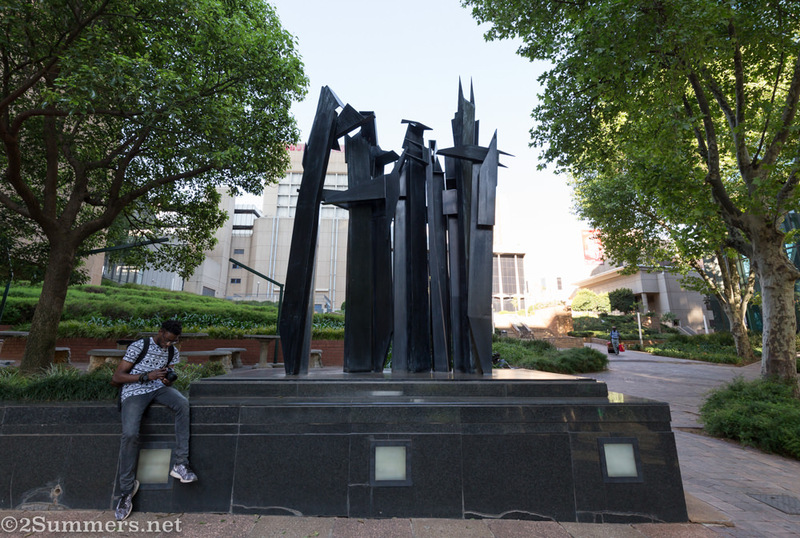 We finished the tour on Ameshoff Street in Braamfontein, in front of an Edoardo Villa sculpture called “Last to Arrive”. This was the first time I’d seen this sculpture. I love it. Thanks to the Heritage Foundation for a great weekend. 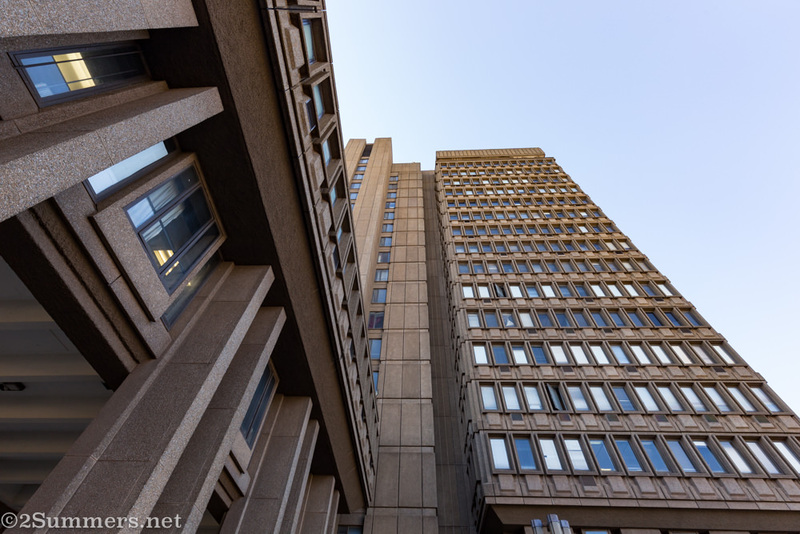 Wow, I wish I’d heard the term “brutalist architecture” before — it’s so perfect! I had friends at a particular dorm at Harvard that always talked about their dorm’s architecture being prison-like! And now I know the exact term. I much prefer the older architecture on your tours, although the Ponte towers were very, very cool. I guess the curves soften them. I’m saddened that Dorkay House was not maintained as a music institution.I took piano lessons there between 1993 and 1994 and you could feel the history throughout the building. 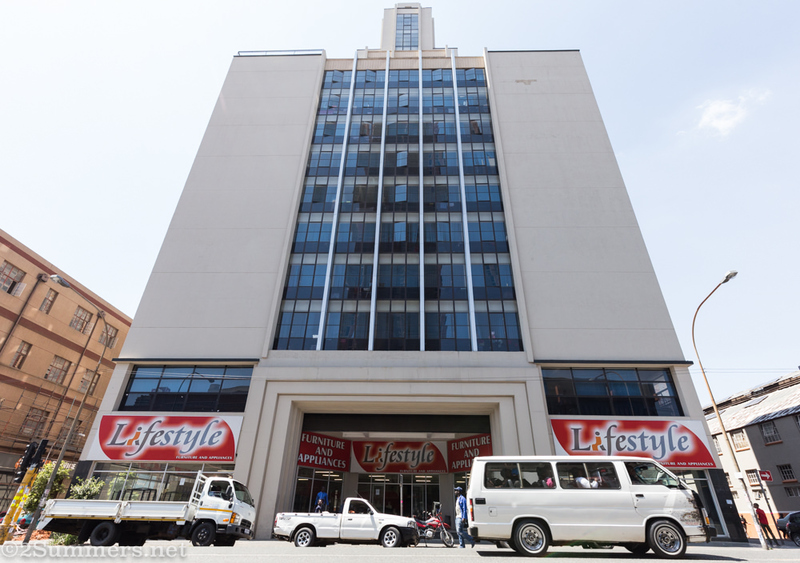 I used to enjoy the walk from Bree street taxi rank and to look at the buildings back one of my other favourite (Rissik Street Post Office) was in active service. I want a fireman…and the pole. Thanks for this very interesting overview of neglected Heritage gems. I have a particular interest in the Bantu Men Social Center ans its founder Reverend Ray Phillips. The BMSC is the place where the ANC Youth League was founded and the venue which saw many black luminaries(Mandela, Sisulu, etc) celebrate their weddings. If the young people could be taken on a tour to these places, maybe things will change in the near future.